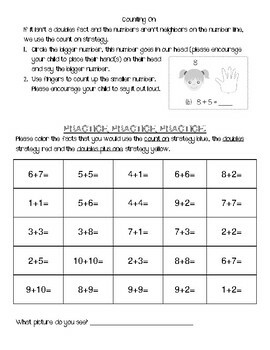 This was created as a helpful resource for parents to understand the difference between the addition strategies used. 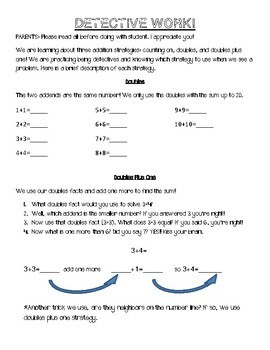 Has explanations for counting on, doubles and doubles plus one. At the end of the explanation students use color coding to label which addition strategy they would use for each addition equation.